Recent review: The seniors loved the performance!!! Great group, will be booking in the future! Its not a party . it just a birthday cerenata for my mother. Arriving on the music scene in the late 19th century, Mariachi Bands brought an upbeat yet traditional sound to Mexican culture. With a blend of guitars, violins, trumpets, the guitarron, and the vihuela, Mariachi music can truly liven up a party! The upbeat authentic Mexican folk music is the perfect accompaniment for wedding receptions, Cinco de Mayo parties, and so much more. 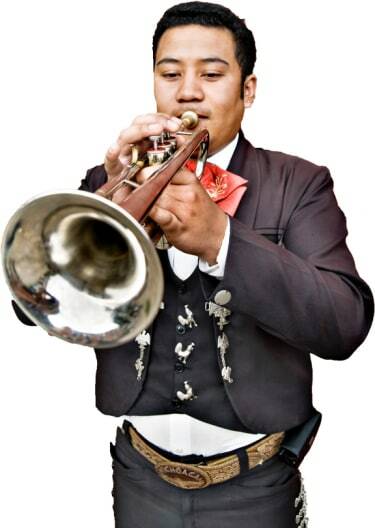 Search for Mariachi Bands in Joliet, Illinois above. Please note that these Mariachi Bands may also travel to Rockdale, Crest Hill, Elwood, Shorewood, Plainfield, Manhattan, Homer Glen, Channahon, Mokena, Minooka, Lemont, Orland Hills, Frankfort, Divine, Palos Park, Wilmington, Oswego, Monee, Palos Heights, Willowbrook, Burr Ridge, Matteson, Fox Valley, Willow Springs, Montgomery, Clarendon Hills, Diamond, Richton Park, Worth, and Hickory Hills.